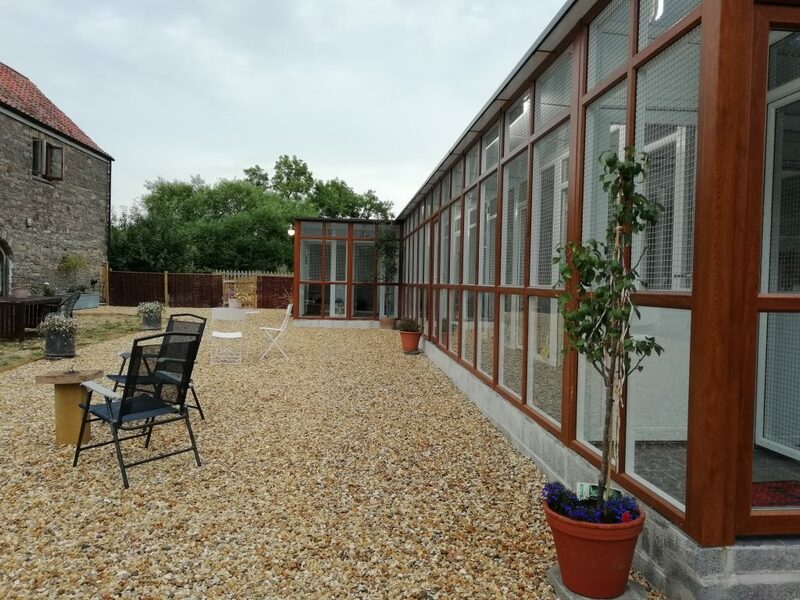 Set in the quiet countryside of Clevedon in North Somerset, we are conveniently located just off junction 20 on the M5 and within reach of Bristol Airport, Bristol, South Wales and the South West. Our mission is to provide a safe, friendly and enjoyable second home while you are away. Our pens are built to the highest specifications exceeding the standard specified by the Animal Welfare Act 2006 and CIEH Model Licence Conditions, providing a heated indoor accommodation and outdoor exercise area. Even if it’s for only a brief period, we know how hard is to leave behind your furry family member, so it’s our aim to make sure they are having a wonderful time! A holiday journal is offered to the humans of our special furry guests spending with us 4 days or more! We do strongly recommend viewing, so simply pop-in during our opening times. For your convenience we are also offering collections and drop-off service. Very nice place for cats to stay! My cat enjoyed it very much and was not in a rush to come home from his holiday! Lovely place and cats well looked after with daily updates! In Ja is great with cats and you can see she really loves looking after them. I really highly recommended her. I was very nervous as my cat likes to roam a lot outside but she got him out loads and he even played inside her office a lot while she was working ! In Ja and her team went out of their way to make Amber’s stay as enjoyable and stress free as possible. The accommodation is immaculate, and is more like a home away from home. There is plenty of space for mogs to explore and meet new friends (chickens)! Our two cats have just come home from a week at Willow Cats Hotel. The facility is new and very well set out for visiting cats. In ja who runs the hotel is very passionate about cats and makes sure they are happy and well during their stay. Sunday and Bank Holidays closed for pick up and drop off.